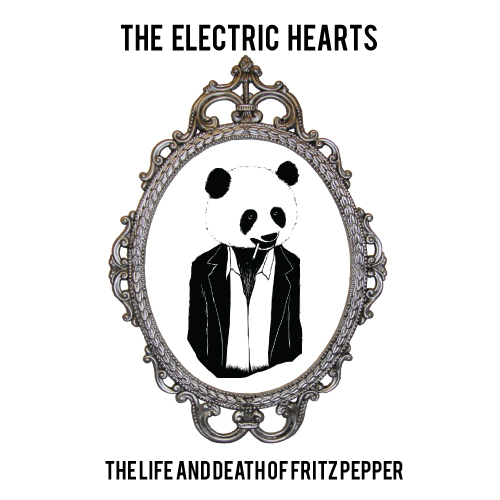 The Life and Death of Fritz Pepper is the latest from the rock band The Electric Hearts. The band consists of Matt Johanson on bass, Sam Stewart on guitar, Stephen Smith on drums, and of course Jessica Breanne, whose vocals have a unique flavor reminiscent of Amy Winehouse with a dash of Janis Joplin spice. “Machine” starts out with an array of interesting guitar tones and drops into an intense groove with a one of a kind vocal tone top lining the song. The melodies are great and there is no denying the amount creativity that is present in this band. “Through My Teeth” is a heavy, darker sounding song on the album. At times, the lyrics are bit hard to make out but the heavy guitar and killer drums in the break down section make up for it and capture the essence of the song without even using words. “Tired” is the most captivating song on the album and is available as a pre-released download on their bandcamp page. The song begins with a chorus that is an interesting indie rock vibe with catchy lyrics that is weaved together with a ’50s inspired sound in the verses. It’s refreshing to hear a different and almost innovative take on rock and roll.